Hosted once again by Gala TE, the event was good preparation for the upcoming British National and World Championships, and also, with some dancers unavailable, a good opportunity to give some reserve dancers competitive experience. Teams from Hungary, Poland and England participated in the competition, which appeared to be scored using a unique system based on four categories (similar to WDSF Judging System 2.1) but with every judge scoring every category for every team and scores were not weighted. Gala, the hosts, won the competition with their new Like That routine, which has similarities in style to recent routines by Vera Tyumen and Duet Perm. Savaria, also from Hungary, placed second and Elita (Poland) placed third. XS Latin A team were a little disappointed to place fourth, but gave a good performance of Wicked in the final that showed clear ways to progress ready for the upcoming competitions. 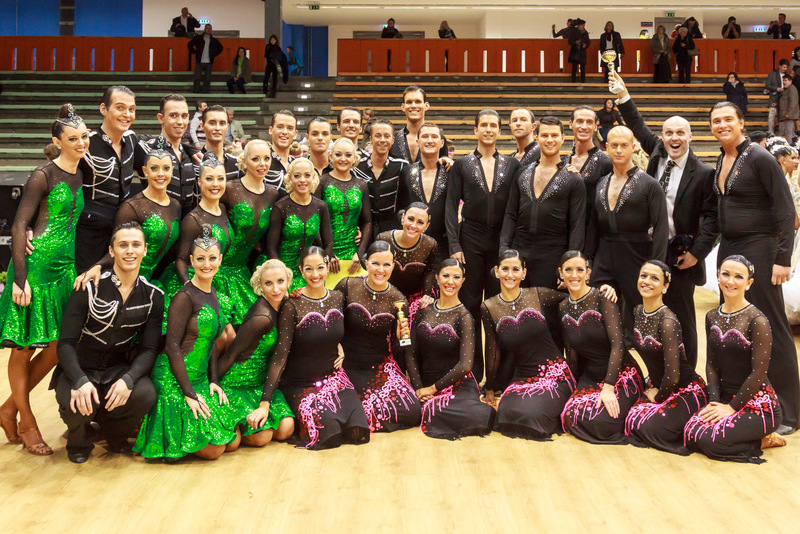 XS Latin B team placed fifth and gave an excellent performance of Vogue, its final international appearance. The team would like to thank the hosts for organising the event and the supporters who travelled out with the teams.